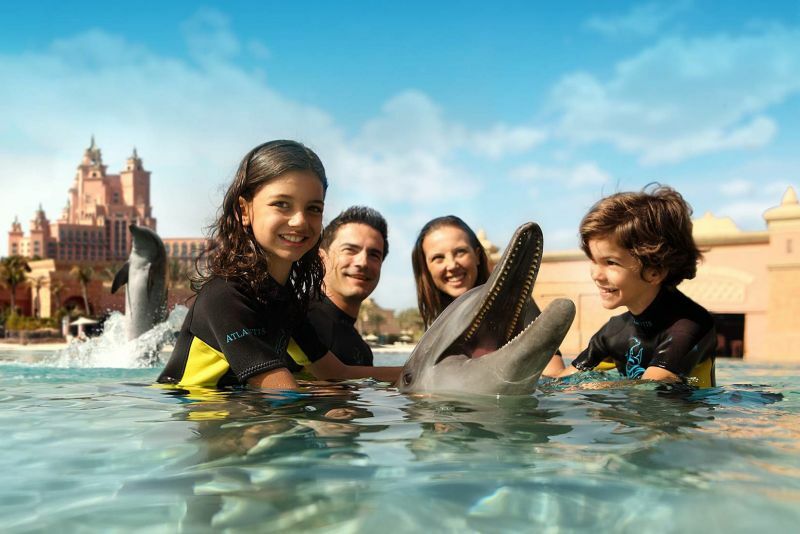 Dolphin Bay in Atlantis is where you can swim with dolphins, as well as enjoy different dolphin experiences, such as standing in shallow water or swimming and scuba diving alongside the dolphins. Dolphin Bay is open to hotel guests and day visitors and is suitable for all ages and swimming abilities. Tickets include same day access to Aquaventure Waterpark and Aquaventure Beach.